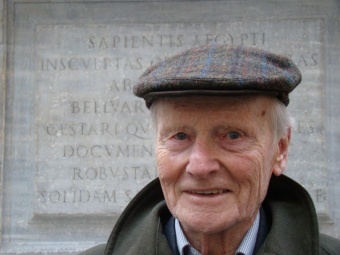 Stuttgart, Germany, Apr 29, 2016 / 10:49 am (CNA).- Greatly valued as an advisor by Saint John Paul II, a friend of Benedict XVI, and widely held to be the most important German Catholic philosopher of recent decades, Robert Spaemann, emeritus professor of philosophy at the University of Munich, expressed a distinctly critical interpretation of Amoris laetitia in this interview with Anian Christoph Wimmer, editor of CNA’s German-language edition. Please find the full text of the interview here. What consequences do you see for the Church? The consequences are already foreseeable: uncertainty and confusion, from the bishops’ conferences to the small parishes in the middle of nowhere. A few days ago, a priest from the Congo expressed to me his perplexity in light of this new papal document and the lack of clear precedents. 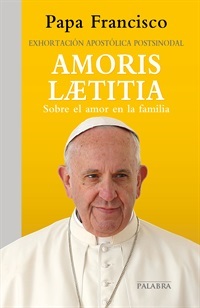 According to the respective passages fromAmoris laetitia, not only remarried divorcés but also everyone living in some certain “irregular situation” could, by further nondescript “mitigating circumstances”, be allowed to confess other sins and receive Communion even without trying to abandon their sexual conduct – that means without confession and conversion. Each priest who adheres to the until-now valid discipline of the sacraments, could be mobbed by the faithful and be put under pressure from his bishop. Rome can now make the stipulation that only “merciful” bishops will be named, who are ready to soften the existing discipline. Chaos was raised to a principle by the stroke of a pen. The Pope must have known that he would split the Church with such a step and lead toward a schism – a schism that would not be settled on the peripheries, but rather in the heart of the Church. May God forbid that from happening. One thing, however, seems clear to me: the concern of this Pope – that the Church should overcome her own self-referencing in order to be able to free-heartedly approach persons – has been destroyed by this papal document for an unforeseeable amount of time. A secularizing push and the further decrease in the number of priests in many parts of the world are also to be expected. It has been able to be observed for quite some time that bishops and diocese with a clear stance on faith and morality have the greatest increase in priests. We must remember the words of St. Paul in the Letter to the Corinthians: “If the bugle gives an indistinct sound, who will get ready for battle?” (1 Cor. 14:8). In your opinion, where do we go from here? Every single cardinal, but also every bishop and priest, is called upon to preserve uprightly the Catholic discipline of the sacraments within his realm of responsibility and to confess it publicly. In case the Pope is not ready to make corrections, it remains reserved for a later Pope to officially make things right.